This television series, based on a novel by Dan Simmons, is a study in slow madness. Inspired by the real-life Franklin Expedition which never returned home from its Arctic quest, the show imagines what might have happened to the crew stuck in the ice. It brilliantly meshes historical accuracy, a sense of creeping unease and local folklore. Beautiful, ethereal camerawork and fantastic acting make it terrifying to watch. Can’t get enough ill-fated exploration movies? This documentary focuses on an expedition in the South Pole, led by Ernest Shackleton. Though it has a better outcome, the frigid, unimaginable conditions were no better for the crew that waited two years for help to arrive. Amazingly, the managed to take photos and film of their time stranded on the ice. It’s narrated by Liam Neeson. A typical thriller becomes a much more interesting movie with a true twist and solid performance from Naomi Watts. A psychologist who must work from home due to her homebound son, she is isolated by both circumstances and place -- all the more so when snow storms cut her off while she is being terrorized by an unseen intruder. The latest adaptation of the Agatha Christie classic makes full use of the cold setting. A train carrying an odd group of passengers is derailed then stuck in a snowy mountain pass. When one of them is murdered, Hercule Poirot must ferret them out -- all while trapped in a snowbank with dwindling supplies and thinning tempers. There are some unconventional choices -- Poirot does kung fu -- but if you’ve never seen a version of the story on screen before, it is an enjoyable winter evening mystery. In Finland, the Sami people still raise reindeer and live a very cold, rural existence. A single father and his young son live near the Russian border, where a strange excavation is taking place. Meanwhile the son begins to notice clues that Krampas is real, and he is taking revenge on all the bad children who don’t believe. A bit scary, often funny, and completely different, this film is ultimately heartwarming and charming. 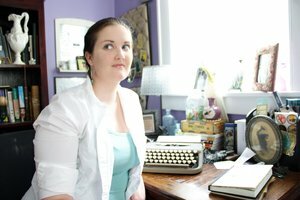 Meaghan Walsh Gerard has been writing about films (especially classic ones) and books (especially gothic ones) for more than ten years on her site. She is obsessed with the art of storytelling and holds a master’s degree in cinema studies. Meaghan has been a DVD Netflix member since 2003. Follow Meaghan at mwgerard.com, on Twitter @mwgerard, or Facebook and Instagram.